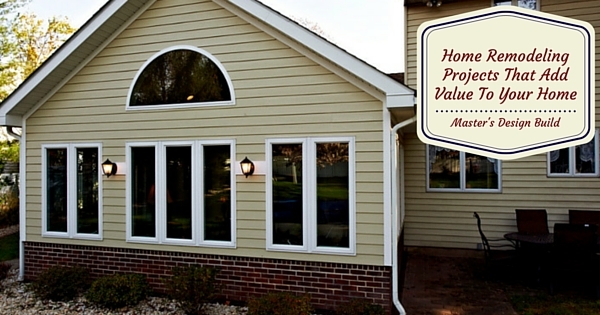 Any exterior work that shows that the home has been maintained properly will add value. New windows with double or triple pane windows will save money on heating and cooling costs. The money saving features of these windows will boost your home’s value. A deck or patio that is an outdoor living area with an outdoor kitchen also raises a home’s value. In warm weather families like to spend time outdoors and having a place to gather and entertain is an asset. Whenever you increase square footage, the value of the property will increase. Finishing a basement with a bathroom and bedrooms or family playroom is a profitable improvement. A laundry room or family room in a high and dry basement are good improvements when looking to increase a home’s value. An addition to a home – when well planned and executed – can increase a home’s value as well. A new master suite and master bath or a family room will increase your comfort and the value of your home. A bathroom with updated fixtures and flooring will increase the appeal and value of a home. New vanities add storage and style to a bathroom, and vanity tops can be updated with laminates, marble or granite. Check out some tips on How To Select The Perfect Vanity For Your New Bathroom. All of the renovations to your bathroom will result in a return on your investment as high as 74%. When purchasing a new home, most buyers look for updated bathrooms. A bright, clean, modern kitchen with new cabinets, flooring, fixtures, and appliances will catch a buyer’s eye. The kitchen is the gathering area of the home, so it can be the most important room to renovate. A well-designed kitchen will give you an excellent return on the investment as well as increase your enjoyment of your home. A well-designed renovation has the potential to raise the value of your home, no matter which room you renovate. Here at Master’s Design Build we’ll take your project from conception to completion. Contact us today and we’ll be happy to answer any questions you might have.